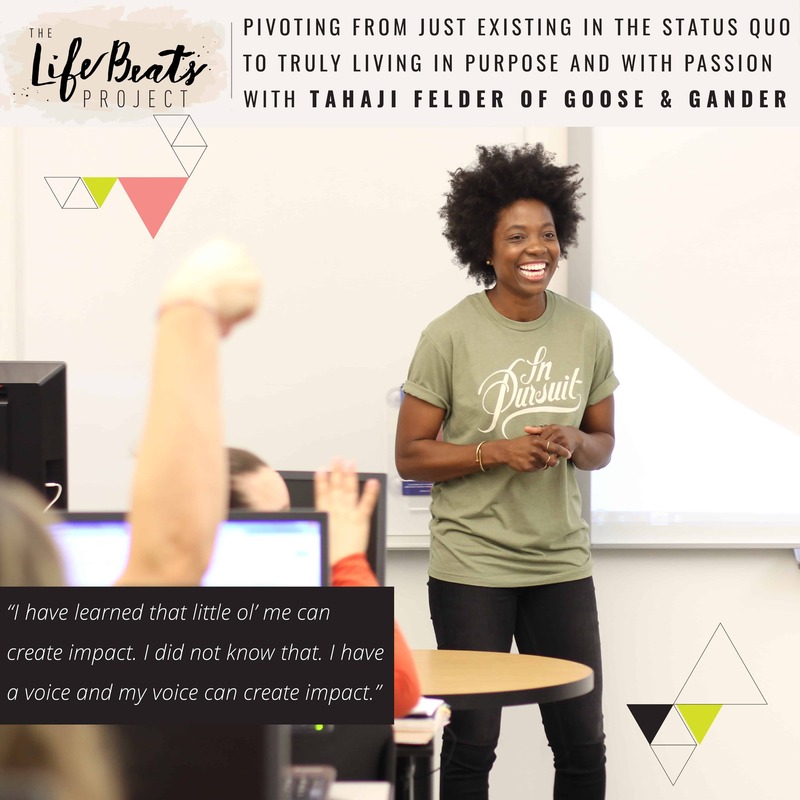 I was so impressed with Tahaji Felder of the brand Goose and Gander as she spoke at an event with her quiet confidence and warm presence that I knew you needed to meet her too. Tahaji grew up in NY, CT, and So. Florida with a love for fashion. She shares how from a young age people would come to her for her fashion opinion or to be styled, but because of the stronghold that fear, lack of confidence, and lower self-esteem had on her, she abandoned her dreams as a designer and followed a status quo career that left her feeling very unfulfilled. She shares her journey of learning to let go of fear, to embrace herself and realize that sharing her gift was a way for her to serve other people. Tahaji tells how after losing her job as an accountant for the second time and suffering a breakup, she hit rock bottom and had a choice to make whether it would bring her down or shoot her straight up. As soon as she made the decision to say ‘yes‘ to her passion she was on fire and doors began to open and she founded her own company Goose and Gander. Hear more about this clothing lifestyle brand dedicated to empowering you to pursue your passion and the incredible speaking series called Empower You she has created for teens to empower them to pursue their passion and dream big. She has partnered in this series with a 17 year old entrepreneur who started the non-profit One Page Closer in South Florida dedicated to donate shelves of books to children and teens of low-income communities. Listen and be inspired to take a leap over fear, embrace yourself and your gift, and make a small pivot in the direction you are headed to go from just existing but truly living. Want to know if this episode it for you? This episode is perfect for someone who is tired of just existing in a life and is ready to start truly living in purpose by embracing themselves and who they are as well as pursuing their passion. It is perfect for a first year entrepreneur looking to learn from someone in the midst of it. It is also for those who struggle with the paralyzing power of fear and self-doubt. It speaks to those wanting to use their gifts to help the lives of others and advice on how to do that.